Select the resort of your own choice or let us help you to find the place of your taste. Phuket has become world famous due to the Maritime Beauty of the sourounding waters. 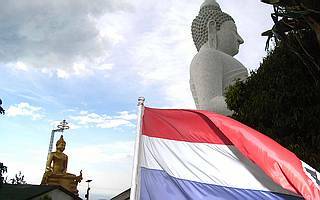 Phuket (pronounced: Boo-get) is Thailand's smallest and richest province, but the country's largest island, with its 810 km2. (About the size of Singapore). Although tourism today is the largest currency earner, the locals always did well. In former days tin was mined in open pits on land and from floating platforms at sea. Here you will find some of the worlds most beautiful beaches. This tropical paradise island also offers plenty of activities like golf, reef snorkeling, game fishing and much more. Resort, hotels & guesthouses in all price ranks welcomes the traveler and unforgettable memories will be brought back home. Do you dream about staying on a Hilton Resort? Here is a chance – at a price not seen before. Book 90 days in advance and pay only THB 3.200 per night. Book less than 90 days in advance and pay THB 3.700 per night. Both offers are for two persons in shared room incl. breakfast. Transfer from Phuket airport to chosen hotel. 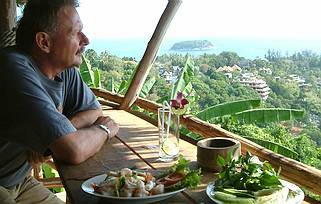 Sightseeing Phuket in private minibus 7 hours. Visit the Big Buddha mountain, View Point, Chalong Marina, Market in Phuket City, Snake Show, and Orchid Nursery. Lunch stop en route at own expense. Lunch at floating Seafood Restaurant and visit Phuket Zoo can be included. Other special requests may be included. BEAUTIFUL PHI PHI ISLAND Speedboat & Snorkeling Tour. Full day tour. Hotel 7d / 6n + T/W airport transfer + 3 fantastic full day excursions. PS. Above is an example. Any resort or excursion could be chosen. Specific desire? No problem – just let us know. Beautifully located resort for those seeking quiet luxury. Don’t select this resort if you want to be a part of the hustle and bustle of tourist areas. Beautifully located resort situated next to Nai Harn Beach. Don’t select this resort if you want to be a part of the hustle and bustle of tourist areas. The perfect resort situated right on Kata Noi Beach. Walking distance to the tourist center at Kata. When only the best will do. Resort of high international standard beautiful located on Karon Beach Road. Good and central location for shopping and dinning out. 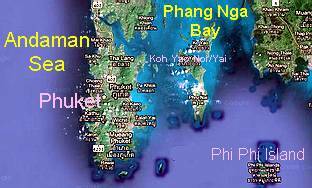 Visit some of the many islands in the surrounding waters for Phuket. From Phuket to Phi Phi Islands with 3 nights stay. From Phi Phi to Koh Lanta with 2 nights stay. Option B/ Continue to Langkawi in Malaysia. 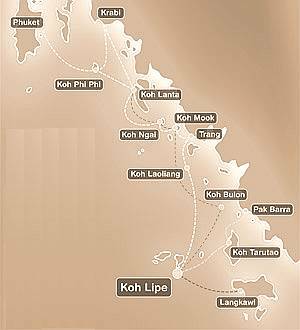 Option G/ Continue to Koh Yao Yai. Option H > Return to Phuket. Itinerary in reversed order can be set up as well. 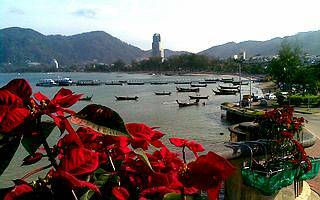 What does Wikipedia® say about Phuket?